Lisa turns a boring master bedroom into a stylish feminine retreat for a woman from San Francisco. Kim wants a room where she can recharge and relax. She hopes Lisa can create a space that's fun and super stylish. 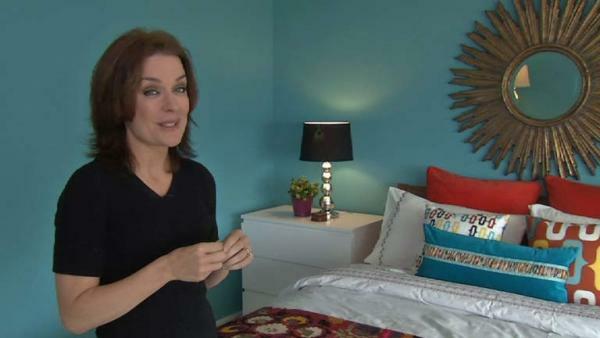 See before and after from as Lisa makes over a master bedroom for Kim's new single lifestyle. See photos as Lisa makes over a master bedroom for Kim's new single lifestyle.